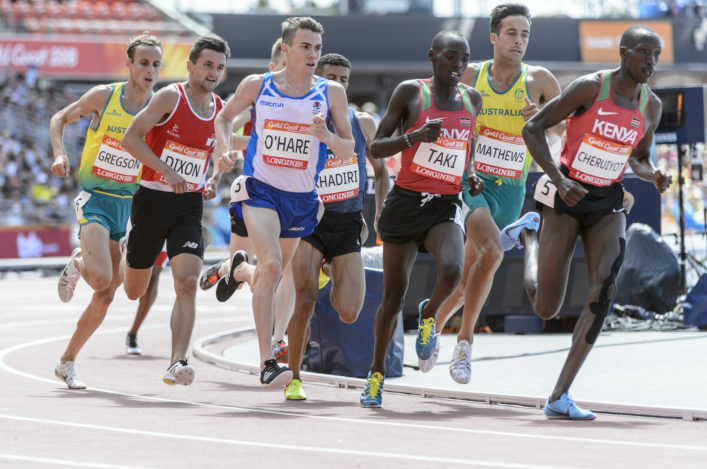 Jake Wightman and Chris O’Hare made it two Scots in the Gold Coast 2018 Men’s 1500m final, with safe progress from the heats at the Carrara Stadium..
Chris clocked 3.44.76 when finishing fifth in the first heat but that proved good enough to go through with the second race slower. Jake covered the moves well in that one, some 13 hours after his 800m final, and took third place and an automatic slot with 3.47.16. Now both will contest the final on Saturday afternoon in Australia. Jake Wightman: ‘I am in the final again and I am really pleased with that. I had about five hours sleep last night after the 800m final and that probably means I will need a nap later today! ‘I knew it would be hard work but actually it was even tougher than I thought. The temperature was probably the hardest aspect – it is close to 30 degrees out there – and then you have to get top four to be certain of going through. ‘When Mark Dry won that medal on the first Sunday it lifted the team and Maria Lyle and Eilidh Doyle have followed on from there – and I feel I gave it a right good go in the 800m. Chris O’Hare: ‘I’m in the final and will start the preparation for that now. It didn’t go the way I’d planned and I basically did all the things my coach had told me not to do. I made mistakes but, when you still get through, the feelings ease a little. 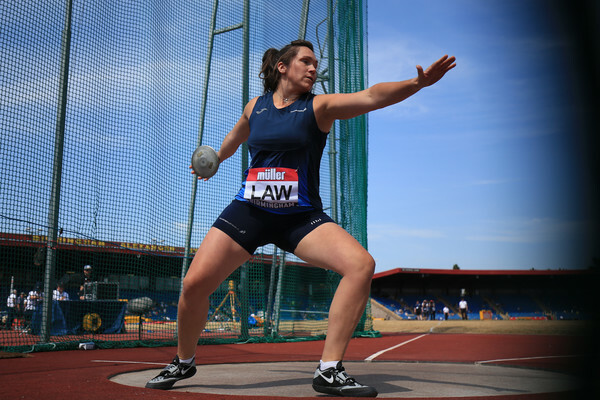 ‘It’s hard to start the season in an event like the Commonwealth Games and I probably needed to get that race under my belt. Hopefully on Saturday I can make the right moves – tactically is usually where my strengths are and I just need to believe again in what I am good at. 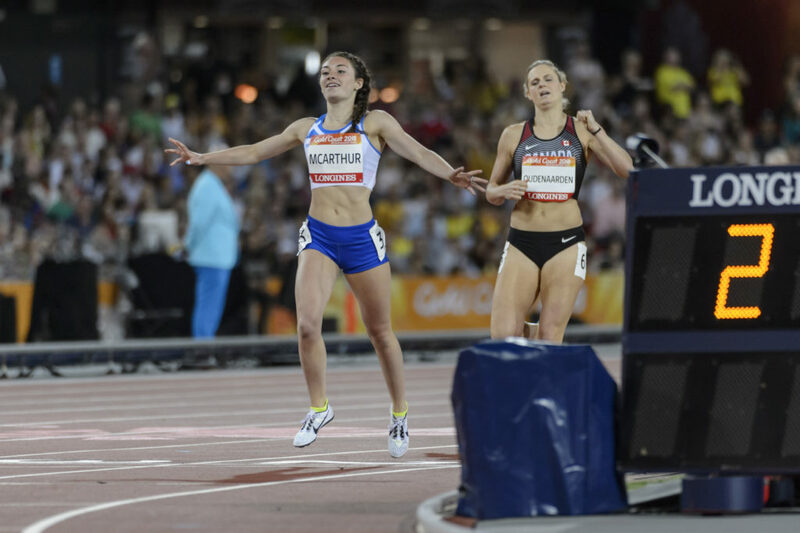 Holly McArthur ended her debut Commonwealth Games experience in 10th place in the heptathlon with a points score of 5381. 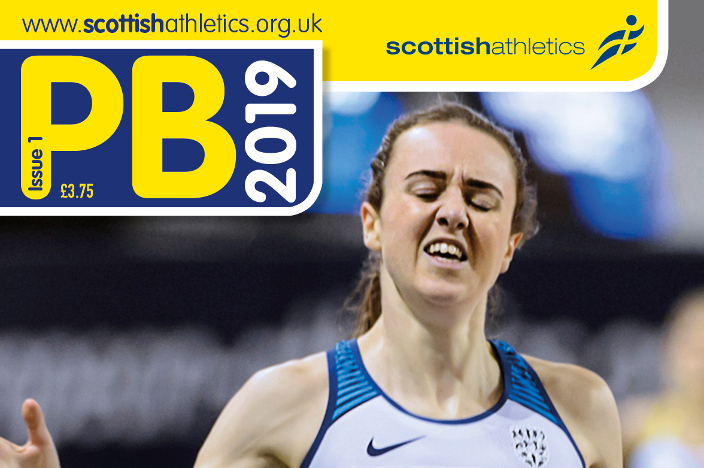 It was a thrilling two days for the 18-year-old with the highlights being PBs in high jump and shot and then a win in heat one of the 800m with a run of 2.13.04 that was only 1.4 seconds away from her best previously. Holly was a little disappointed with her long jump at 5.49 and javelin at 30.88 today as tiredness set in following four events on Thursday. Holly McArthur: ‘I loved being part of Team Scotland and I am happy enough overall – although there were highs and lows in terms of performance. ‘I wanted to finish it well and I did that with the 800 by winning the race. It isn’t too far away from my PB and of course it is early in the season so I am in quite good shape. ‘There are so many learning points to take away and talk about with my coach and also with our CE group back home.